Old Sandwich Townhomes - SMOOK Architecture & Urban Design, Inc. The Hilltop Residences at OS Golf Homes is a unique community of ten attached and detached homes. 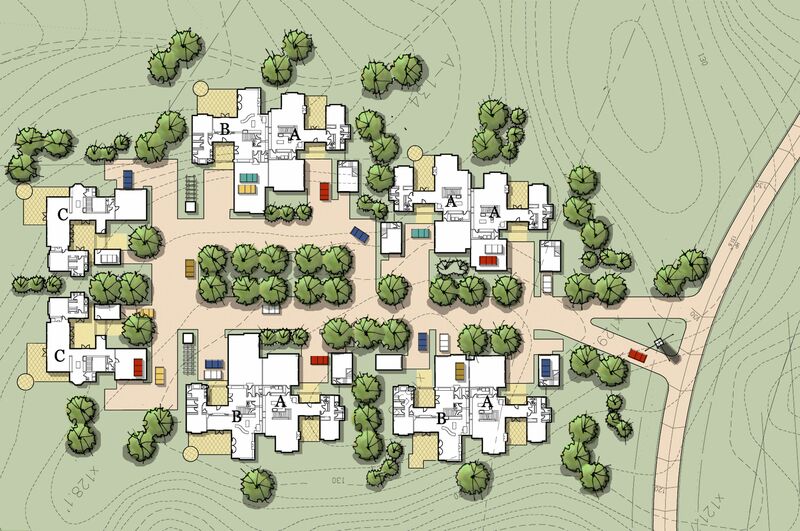 The homes are sited overlooking the Crenshaw-designed Old Sandwich Golf Course, the practice driving range, and the bucolic wooded landscape beyond. 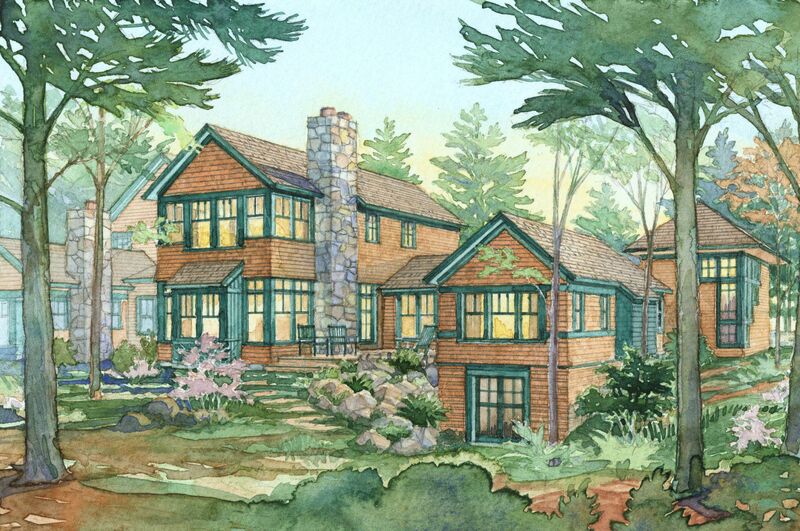 There are three individual home styles, offering numerous options for customization. 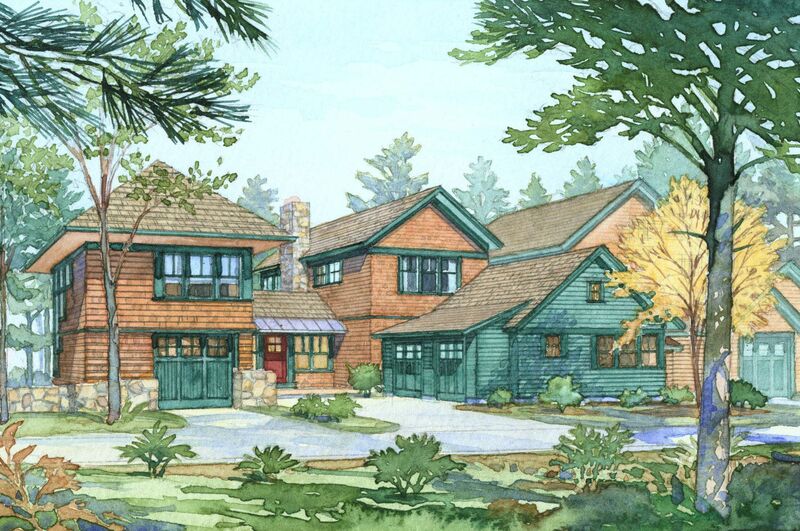 Each home style was designed to reinforce a sense of community, while maintaining each homeowner’s individual privacy. The designs carefully site decks, terraces and courtyards, creating private exterior entries and welcoming venues for entertaining.